Thread: Chemist in pharmaceutical industry? #1 Chemist in pharmaceutical industry? Now Ive managed to find pharmaceutical industry firm job, they told me first of all it will be 1 month trial. I dont know what kind of laboratory work that i will do or learn. But I have to know which things that I should pay attention to it in 1 month trial work period. 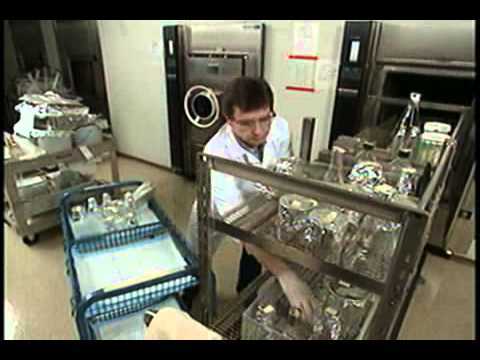 What are the work tasks and working environment in pharma labs? Which things can I learn before entering to that job? I need help from pharmaceutical industry chemists or technicians. What are the hardest part of them? What are the lab. equipments and analyse or process tasks of pharma laboratories? Im not good at using my hands in the jobs which needs flexible in manual dexterity. What are the work-time hours of pharma companies? They wanted lots of hospital tests before joining to that job, this means it will be more risky work aura with chemical inhalation and risky work tasks. Therefore it must be short work times in a routine laboratory days. Also it must be holiday in the weekends. Am I true or wrong? Last edited by yiberkit; August 17th, 2014 at 09:31 AM. What are your credentials? What degrees have you earned? What experience do you have? I used to do a lot of little and temporary jobs, they are; contruction site storage equipments carrying and counting work, tea seller, waiter, car park attendant, teaching job in high school, glassware porter, furniture apprentice also cashier job in construction tools market. I have 4 year chemistry degree. I guess its laboratory analysis job.. There are a gazillions kinds if analysis work in pharmaceuticals. What's the name of the lab within the company? For example, Raw Materials Lab, Stability Lab, etc. And what will you be analyzing? What was the position title that you applied for? I think quality control. Actually I dont know exactly because they only said it will be 1 month trial. Pharmaceutical work is government regulated, as you may imagine. will review and sign off on it. It could involve HPLC, which is mostly the machine doing the work. wait a few hours or overnight, and pick up the results printout. Or ELISA, which is more manual intensive work than machine work. Lots of pipetting to create a standard curve and to dilute samples. Move microplates between incubators, plate washers and analyzer. Or AAS, which is a physical brute force method that uses flames. Mwah-ha-ha! Pump chemicals into a flame and the analyzer will printout a spectrum. Or a rather mundane pH, conductivity or balance measurements. Rather boring and monotonic work. No, that's not a robotic arm. Or use a spectrophotometer to make measurements using light. A step up from pH etc measurements in sophistication. Some are even robotic. And your position may involve washing and restocking the glassware. For pharma work, the washing is probably by machine, not manually. And always wear insulated gloves when going into –80°C (–112°F) freezers. So what are the disadvantages and advantages of laboratory works that you saw when compared to another jobs? CLOTHING: Lab work typically involves a lab coat, goggles/glasses and gloves. Bioreactor work (fermentation) almost always involves full bunny suits, gowning procedures, etc. You might find the suits or the procedures a pain. PROCEDURES: Research lab work can be somewhat less stringent than production lab work concerning FDA requirements for procedures because production is, of course, making the medicines for sale to, and use in, humans, but research usually involves animal models or no models at all. REACTIVITY: Working in research can involve substances (blood, serum, plasma, etc) from animals (mouse, rat, sheep, monkey, etc). If your body reacts negatively to a substance and becomes sensitized, you may not be able to continue working with those particular substances. BIOSAFETY: The labs I worked in were "regular" labs, "only" BS2. The more dangerous materials/microbes/etc require BS3 or 4. If the dangerous stuff scares you, don't work there. SUPPORT: If the company is large enough, it may have a lab dedicated to making buffers and solutions for the company. It seems rather monotonous, but I see people doing the work. It seems a rather predictable and routine kind of work as there was a 24-hour turnaround time between requests and delivering the products. TRAINING: A large company will have a section dedicated to training because the FDA requires so much training and also retraining (when a procedure changes). I think these people aren't necessarily technical people, but there's probably a few among them. ENGINEERING: These are not chemists. Chemical engineers are, in a way, the civil engineers of labs as they design and build them — space requirements, safety requirements (exits, shower, eye wash, fume hoods, storage cabinets, HVAC, etc), bench area, gas supplies (tanks and piping), frigs, freezers and temp recorders), instrumentation (HPLCs, GC/MSs, centrifuges, etc). They are obviously in more demand when building a facility, and less demand after it is up and running. A small company might not have them, depending instead on their chemists and others to do it. A large company would probably contract large assignments (entire buildings, production suites, etc) to outside contractors. CALIBRATION: These people come around to do a variety of calibrations, although where I worked, they often seemed to perform temp checks on frigs, freezers and incubators, which looks boring. But they also probably check that showers and eyewash stations work properly, do a lot of in-house pipette calibrations, and some of the more sophisticated equipment, liquid-handling equipment, etc. SAMPLE MGMT: A large company might have a sample management section that coordinates the storage and movement of samples, within the company and with other companies, because this is so critical to the business operation. Samples must be stored properly, and so, proper handling and transport between suites, labs, etc is critical, so it's worth have a section just to manage the samples.